In certain quarters, Sonny Bill Williams is regarded as an overgrown showpony, who favours style over substance. Those individuals were conspicuous in their absence in the wake of the All Blacks 39-18 victory over Argentina. 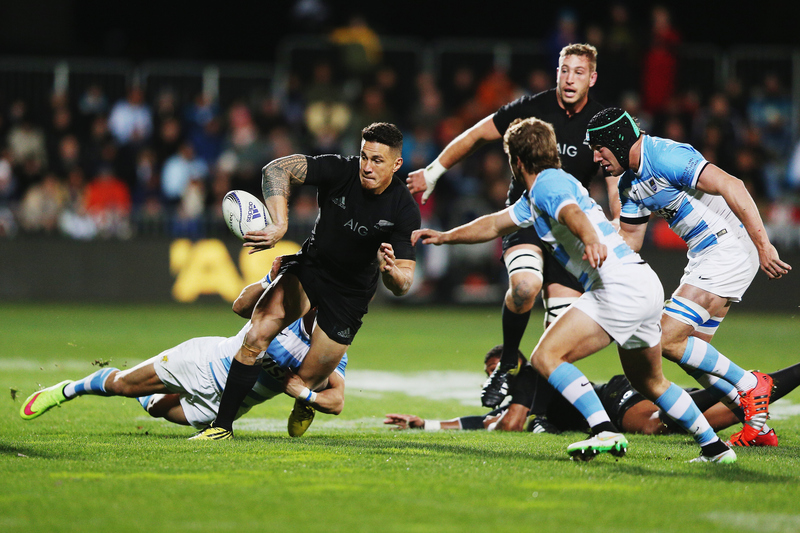 In truth, SBW has not been entirely convincing in an All Black shirt, especially against more gifted opposition, but against the Pumas, he delivered; he topped the defensive hits in the ABs backline (8), tracked back and did some of the dirty work and offloaded so successfully that the Pumas could have been forgiven for sticking a strait-jacket on him. Always one for the big occasion, SBW wouldn’t have wanted to miss rugby’s biggest jamboree, now would he? Waisake Naholo made a telling contribution in his first 50 minutes of Test rugby. The Highlanders wing was full of endeavour and enterprise, taking high balls, shepherding Puma attackers into touch, but it was one fleet-footed break from his own 22 when he beat five defenders and steamed up the guts of the Pumas defence, that led commentator Justin Marshall to shout ‘gas, gas, gas’. It’s a shame then, for the All Blacks and the wider rugby public, that he broke his leg during the game and will miss the World Cup. When wind came through that Cory Jane had also injured himself in the New Zealand Maori v New Zealand Barbarians game, the words ‘wing’ and ‘crisis’ started being bandied around. Fans will be praying Julian Savea is wrapped in cotton wool ahead of the tournament, it’s a matter of national security that he makes it to England unharmed. 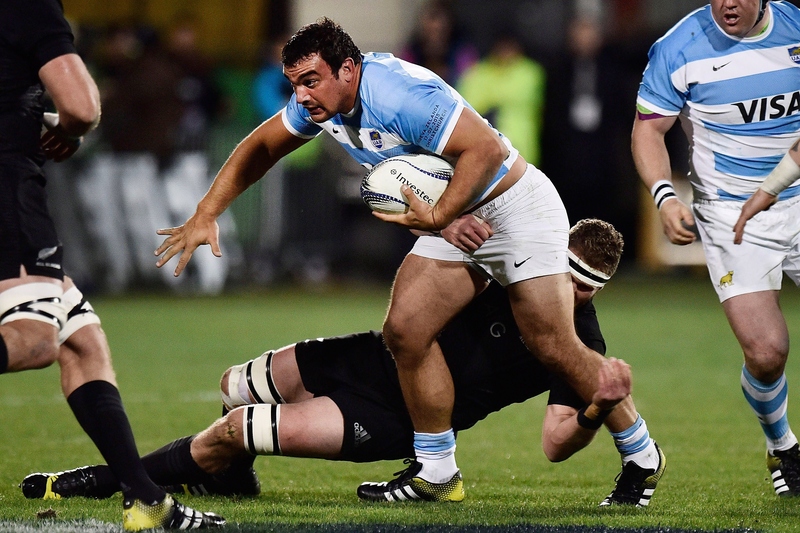 After being dominated by the All Blacks for the majority of the match – they had only 33 per cent territory in the first half – it must have been heartening for Daniel Hourcade and his dapper management team to see Los Pumas digging in and fighting back, heck, they may even have exposed the All Blacks susceptibility to a driving attacking maul. One man integral to that was Agustin Creevy, the Puma captain. Creevy is not one prone to taking a backward step and he was full of five metre carries, tackles and breakdown biff. He also crashed over for two tries which Steve Hansen called ‘bloody boring’. Surely the ultimate accolade. If you’re looking at the world’s best No 2s, Creevy demands to be in the conversation. With Jean de Villiers short of match practice and Jaques Fourie undercooked and sent back to Japan, there are many furrowed brows when discussing the Springbok midfield. Saturday’s Test in Brisbane went some way to allaying those fears, with Jesse Kriel and Damien de Allende putting in accomplished performances. 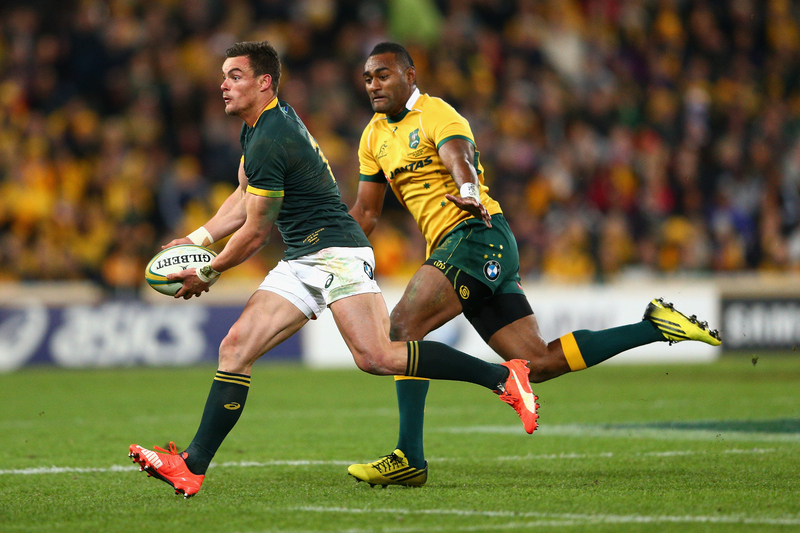 Their defence was watertight – Allende put in 15 tackles – handling assured and they asked questions of the Wallaby defence – in fact Kriel was the second top ball carrier with 81 metres and ran in a brilliant try early in the second half. No more could be asked of them. Quade Cooper is an outrageously talented player who has kept rugby highlight packages on You Tube in business for years. He showed some of his box of tricks on the weekend, with an outrageous wrapround offload in his own 22, the most noteworthy, but if Australia are serious about exiting Pool A, they can’t task him with the place kicker role. He’s just too inconsistent. After missing a relatively easy penalty early on, with 10 minutes to go, he had a chance to reduce the arrears to seven points, with a very kickable penalty, just slightly left of the posts. He shanked it like a Tiger Woods seven-iron. Not good enough. With Leigh Halfpenny, Dan Biggar, George Ford and Owen Farrell ticking the opposition scoreboard over, Australia just cannot risk being outgunned. What will have hurt Heyneke Meyer more than anything was the fact the Springboks didn’t punish the Wallabies and go for the jugular when they were 20-6 to the good. Like a football team that thinks it’s done enough and is prepared to sit back and soak up the pressure, the Springboks did just that and were stung after the hooter when Tevita Kuridrani touched down for a nanosecond to win the game 24-20. 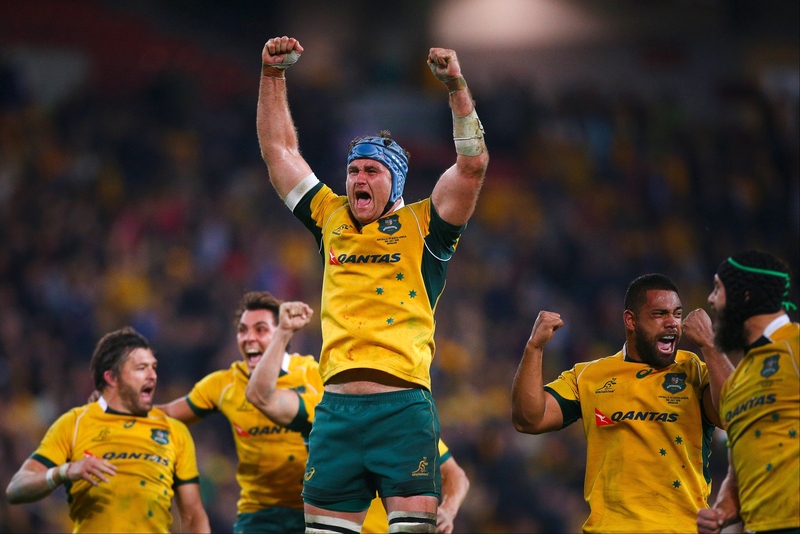 The Wallabies simply played with more fear of losing and it paid off. Their ability to come off the ropes will be duly noted and England and Wales – who have painful experience of the Wallabies never-say-die attitude – will be playing to the final whistle.